The next-generation Maruti Suzuki Wagon R is all set to make its debut in India tomorrow. Based on an all-new platform i.e Suzuki’s new lightweight HEARTECT platform, the 2019 iteration of this compact hatchback is going to be wider, longer and hence is going to offer more space on the inside. The design of the new Maruti Wagon R is completely different from its previous generation iteration. That said, it continues to maintain its traditional tall-boy stance. However, when we talk about its interior layout, things are completely different. This hatchback will now feature an all-together new dashboard layout while the design for the door panels as well as the central tunnel is quite different as well. It comes with an all-new instrument cluster which offers a large speedometer along with a small digital dial adjacent to it. The centre console comes with Maruti’s new Smartplay infotainment system. It is going to offer Apple Car Play along with Android Auto. Top-spec variants are going to feature steering mounted audio control. However, there is no automatic climate control unit but a manual one across variants. 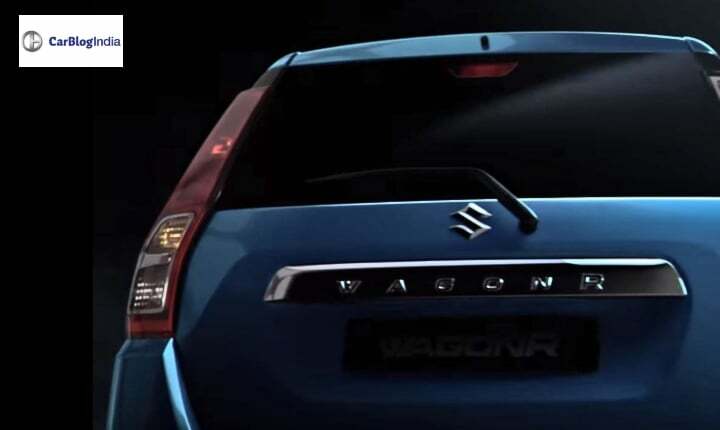 In terms of safety, the 2019 Maruti Wagon R is going to feature driver airbags, ABS with EBD along with rear parking sensors and speed alert warning system as standard across the range. Dual airbags are only available on the top-spec trims. The engine specifications of the 2019 Maruti Wagon R will include two petrol engine options. One is the current iteration 1.0-litre, a three-cylinder unit capable of producing 63 BHP along with 90 Nm of peak torque. The other engine is going to be a 1.2-litre unit which is borrowed from the Swift. This engine can produce 82 BHP of power along with 114 Nm of peak torque. Transmission options will include a 5-speed manual transmission. There will be a 5-speed AMT unit on offer. Both of these gearbox will be available on both the engine options but not across all the variants. Prices of the new WagonR is expected to fall in a range as that of the current model i.e. INR 4 lakh to INR 6 lakh.